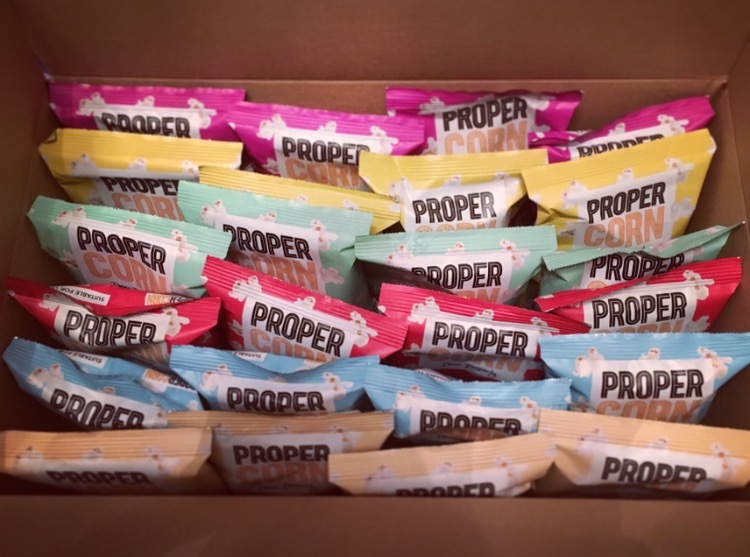 A while back the delightful people at Propercorn kindly sent me a treasure chest of popcorn with all their flavours to try. An actual treasure chest, seriously my excitement for this was sky high! Inside contained not just 1 packet of each but 4 packets of each of the 6 flavours. 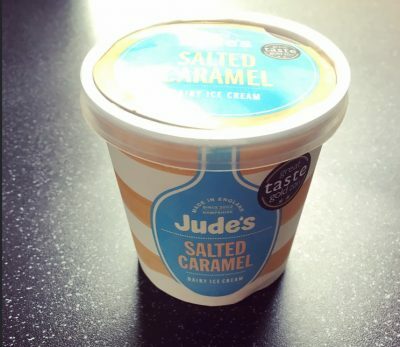 I previously reviewed their newest addition – Smooth Peanut and Almond, which was just scrummy, and now I have munched through the rest and here is the verdict. Slightly a nondescript flavour. It is as it suggests lightly salted but I did find that some handfuls were complete unflavoured, a tad on the dry side, and didn’t really hit the spot. The popcorn itself was popped, there were no kernels left at the bottom, which was impressive, it just needs more consistency in flavour. Now this is slightly out there for a popcorn. Each corn had a slightly orange tinge and was speckled with a darker coating. The instant flavour is that of tomato which is met with the heat of the Worcester sauce. After a few handfuls my oh my do these have a fiery kick to them, and one that lingers. Those who are a tad sensitive to spice will find these pretty darn hot, if like me you like a kick then you will love these. This was the flavour I was least looking forward to trying purely because I don’t really enjoy coconut. I love Malibu and Coconut Water but anything else coconut flavoured or filled I just haven’t got on with it yet. Anyway in the spirit of giving things a go I did exactly that. The popcorn smelt sweet and coconutty, the coconut taste was authentic and vanilla, although subtle, it surprisingly goes very well with the coconut. It’s not the popcorn for me but if you love coconut give it a whirl! The sour cream gives the popcorn a smooth creamy taste which is followed by a punch of peppery black pepper. I was a bit unsure to start but before I knew it the contents had magically disappeared. It’s nice to see that they haven’t gone for the classic sour cream and chive that we see everywhere and instead gone for something a little different. This is certainly yummy and perfect if you want something a little different. Simple but perfect flavour of Sweet and Salty, this is my favourite by a million trillion miles, and I could eat it all day long. Who’d have thought something so simple could be so delicious. Each corn is puffed up, the darker corns are super sweet and the rest are a mix of salty and sweet. The best part of the packet is right at the end where there is crunched up popcorn and a whole load of left over flavour dusting, but then I am sad that the packet has come to the end! This is the perfect go to flavour and one to try first if you are unsure on what flavour to go for. YUM YUM YUM! There we have it, Propercorn popcorn overload. 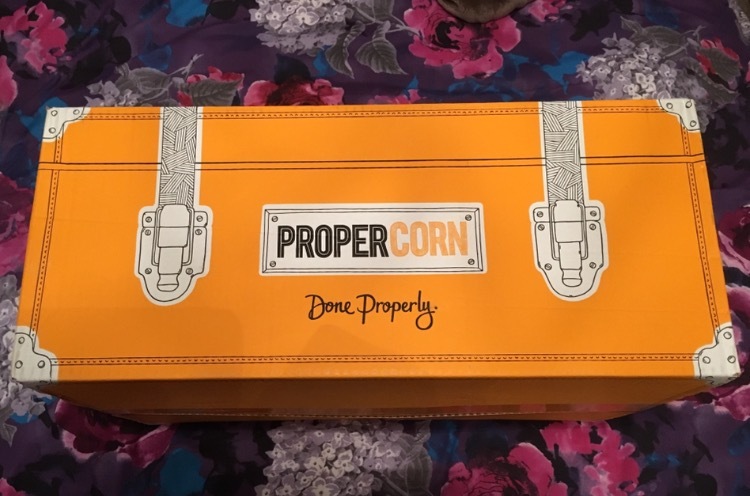 Once again a big big thank you to Propercorn for sending me these they really have done popcorn the justice it deserves, I can’t wait to se what new flavours they bring to the table. 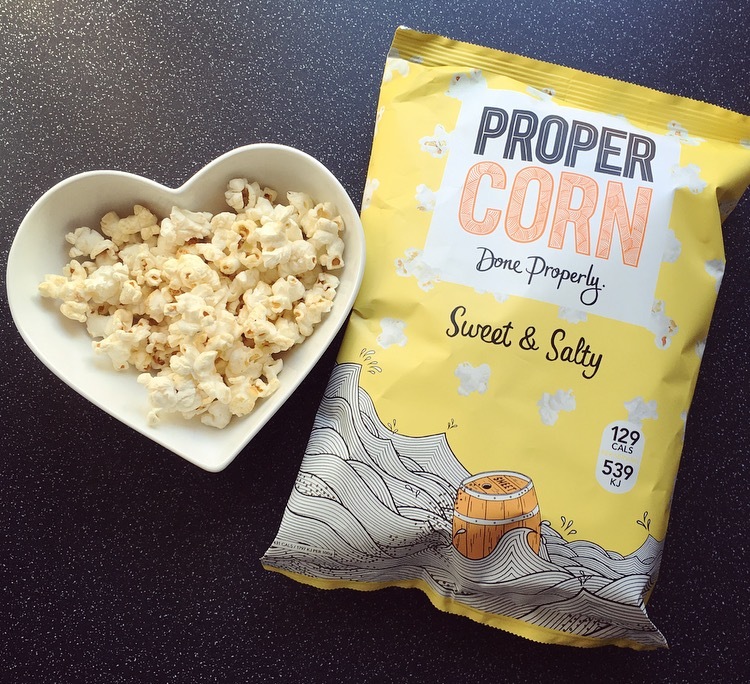 For all things Propercorn visit their website here. I absolutely love Propercorn and my current fave is Smooth Peanut Butter and Almond, but if I cant get them I opt for the Sweet and Salty. Possibly the BEST popcorn on the market. Very rare that you find an unpopped kernel to damage your teeth on compared to other brands! 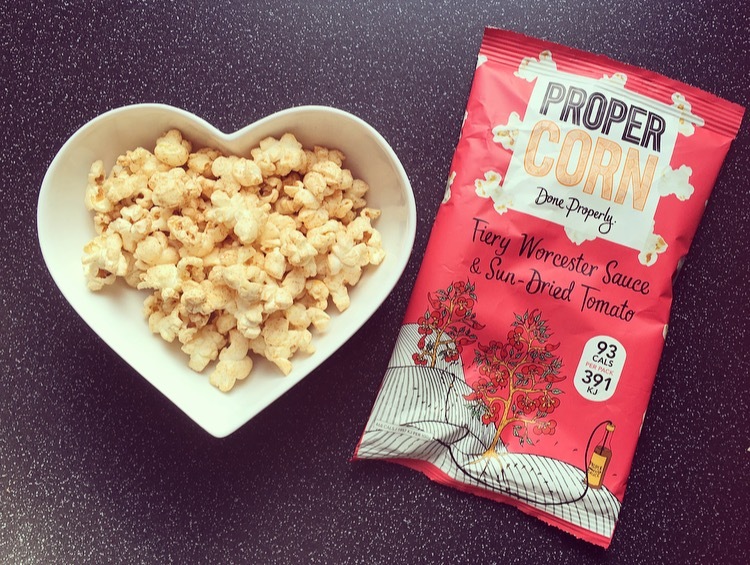 You and I could do with sharing our Propercorn stashes! We’d make the perfect Jack Sprat combination as I love the coconut & vanilla and my least favourite is the sweet & salty- although I’m sure we’d fight over the peanut & almond!